In the weeks leading up to the race, which is hosted by Kent AC, I had swung to and fro when trying to decide whether to run it or not. I read the comments on Runner's World, and I asked some of my running friends about it. There wasn't really anybody that was actually saying anything good about the race. The main themes that kept coming up were that the course was short - although I understand it has now been remeasured and is certified as a 10 mile course. 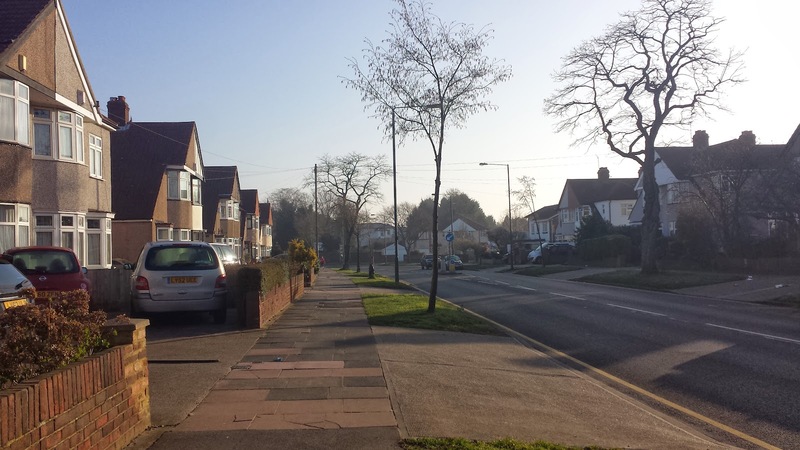 Then there was the fact that it's a fairly uninspiring course around the suburban roads pavements of Sidcup. 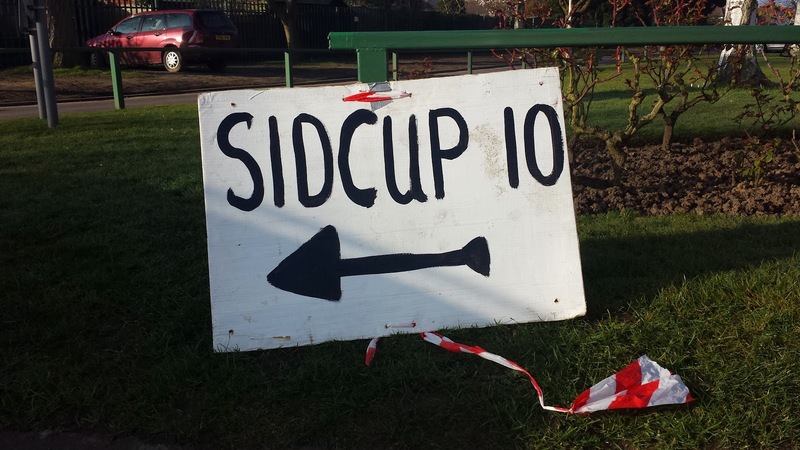 excuse me, but which way is the sidcup 10? All these negative comments I had read just made me even more keen to run it. I really felt the need to find out for myself what it was really like. Plus it is a local race and I do want to run and write about all of the local races. So decision made. I entered online. The signup process was simple enough but done in two stages. 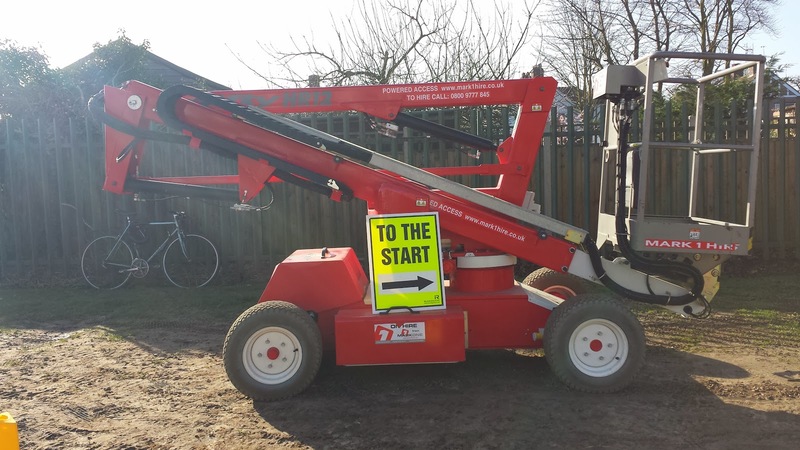 First pay the entry fee, then fill in the online form with your details. 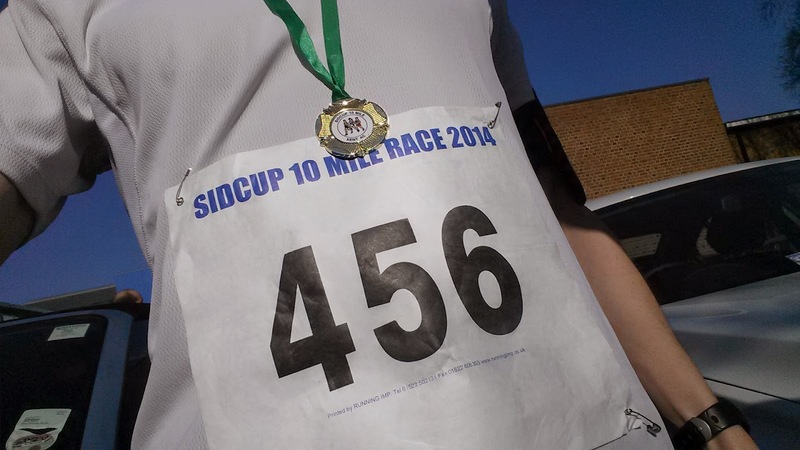 The fee was very reasonable, £10 for club runners or £12 for unattached runners. So on the gloriously sunny and mild spring race day, I drove over to Sidcup. Parking was available in the grounds of Chislehurst and Sidcup Grammar School. I actually didn't use the parking facilities because I wanted to leave the car well away from the action, so I parked about 700 metres away on a side road. If I had cycled, I could have chained my bike to one of the fences within the school. 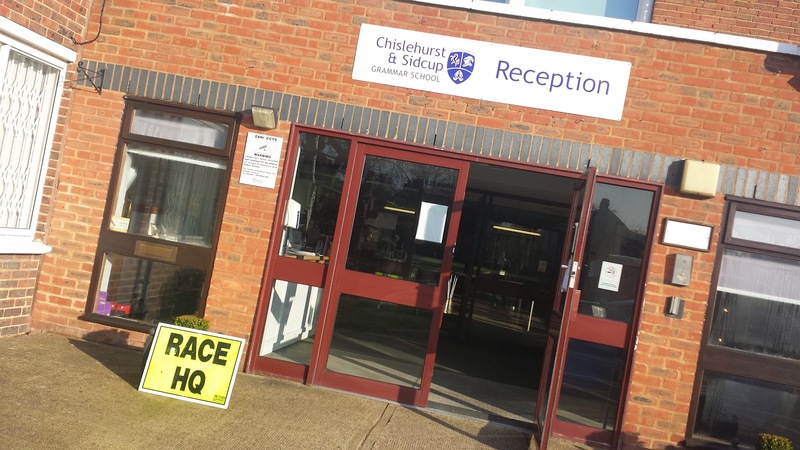 The school building is home to race HQ, changing rooms and the toilets. The school cafeteria hall was used for number collection. The timing for the race was done manually so that did away with the need for timing chips. 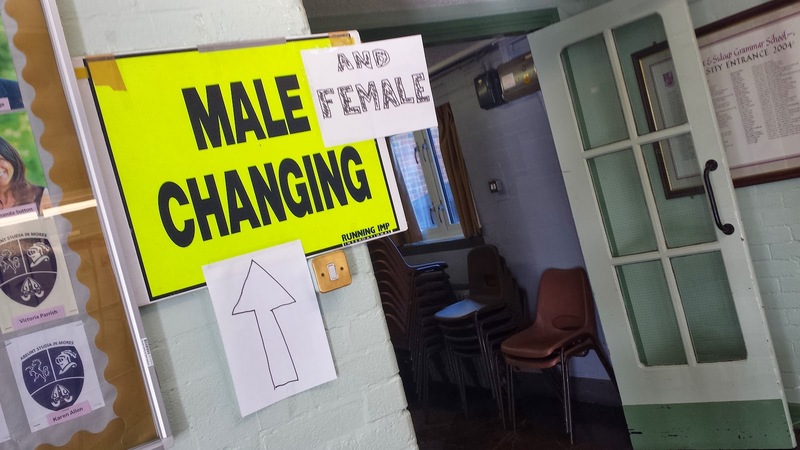 I didn't use the changing facilities but the toilets were well stocked and clean. 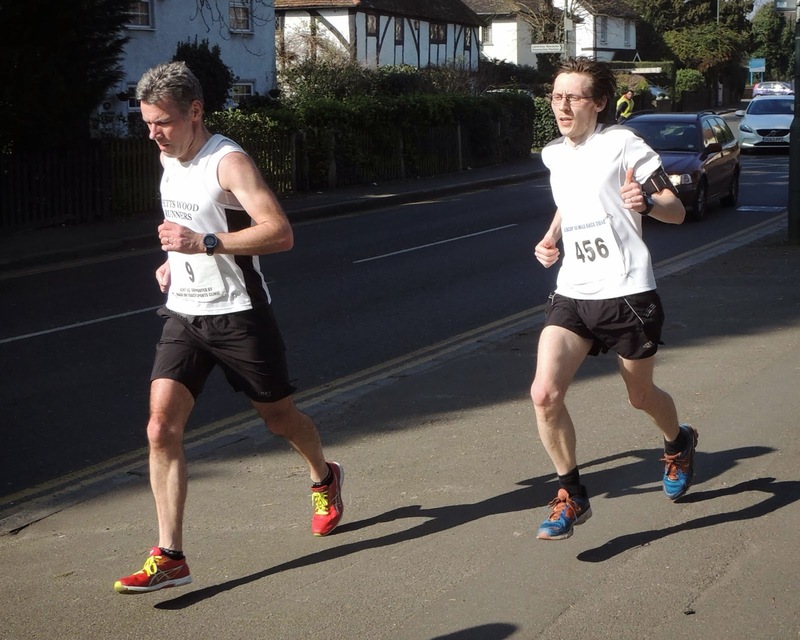 As far as my race goals were concerned, at first I had come up with the bright idea of running it at my goal Paddock Wood half-marathon pace to see how it felt, and I stuck with this plan until the morning of the race. While thinking about the target pace I just came to the decision that my original idea wasn't really that great and that I should just go out and run the fastest 10 mile race that I was capable of. excuse me, but do you know where the start is? 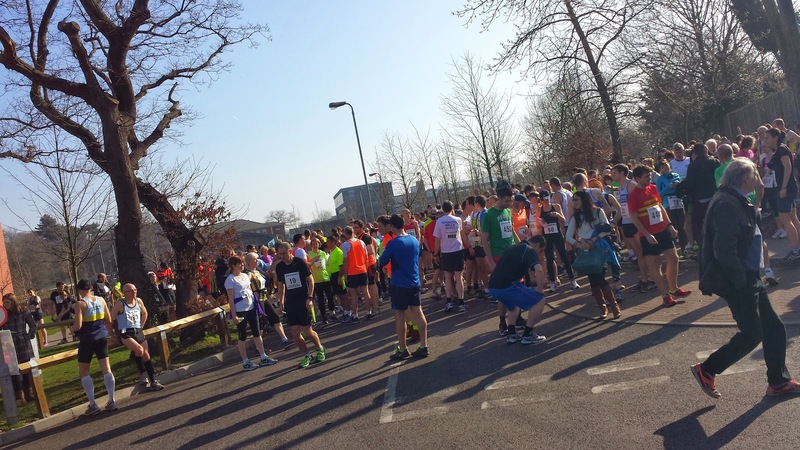 The race start time was 10am, so at around 9.45am there was a mass movement of people from race HQ and along a path that lead to the car park of the adjacent building, which happens to be Sidcup Leisure Centre. This is where the race starts. A few minutes before 10am, there was a briefing but it was done without any kind of amplification and I imagine only a few people at the very front actually heard what was being said. We were then sent on our way. 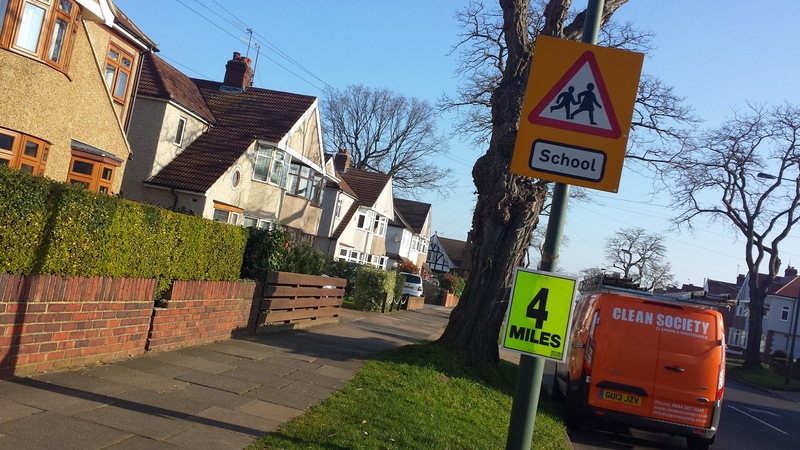 The course is run along the pavements through a mixture of residential streets and main roads in Sidcup. For the first mile or so the sheer number of runners means that we inevitably spilled out into the road, which remained open to traffic. Once the runners started to spread out, it was much easier to remain on the pavements. Underfoot is a mixture of tarmac and standard pavement paving stones. It takes place over three laps with the runners travelling in an anti-clockwise direction around the course. The first lap is slightly different to the second and third as it includes a small detour along a couple of smaller side roads in order to make up the required distance. Because the roads are not closed, there is the potential for a bit of interaction with vehicles. 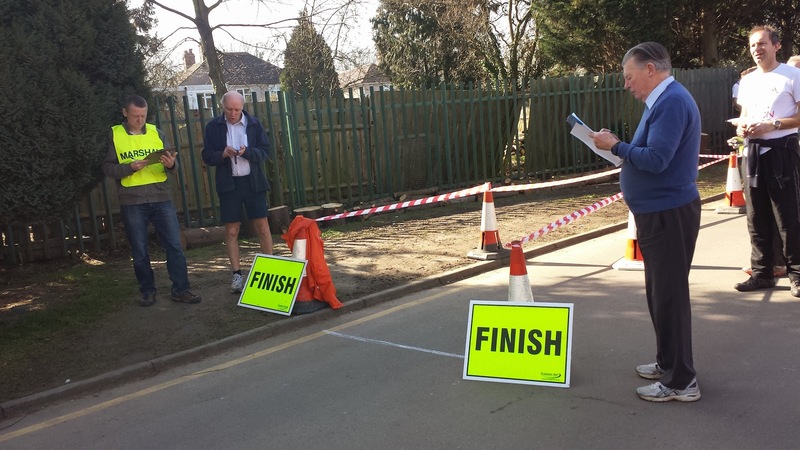 There are side roads to cross, these were mostly marshaled and the marshals did a very good job at controlling the traffic to ensure runners did not have to break their stride in order to safely cross over. As the area is residential, there are lots of houses along the route and most of these have driveways so you have to keep your eyes out for vehicles pulling out. I didn't encounter any, but I hear that some other runners did. 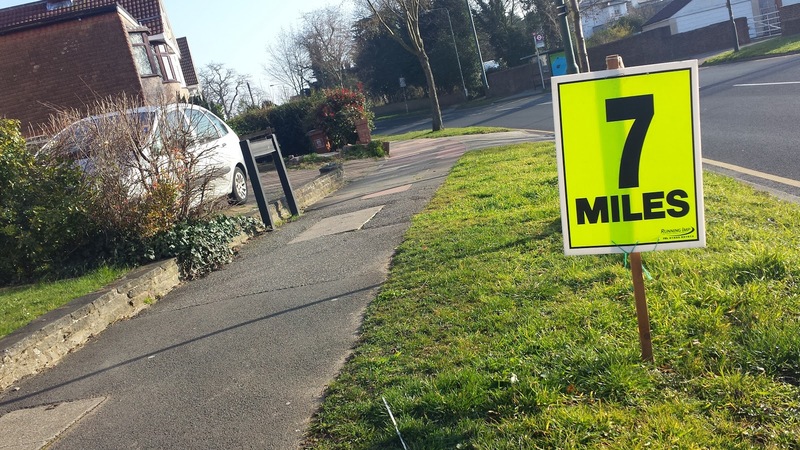 There was a water station just outside the gates of the school, being a lapped course, this was the only one and it was passed at 3.7 miles (6km) and again at 6.8 miles (11km). It wasn't the best managed water station I have encountered, but I managed to grab a cup of water on both passings without stopping. I think part of the problem stemmed from its positioning on the course, it just seemed very bunched up and it's not very visible as you are approaching it. The profile of the course is advertised as flat and although there are some minor changes in elevation, I'd have to agree with that description. There is one short incline which you reach at 0.9 miles (1.5km), 4.3 miles (7km) and 7.4 miles (12km). There is also the section at 2.4 miles (4km), 5.6 miles (9km) and 8.7 miles (14km) which rises ever so gently for 800 metres. There are one or two points that are ever so slightly downhill which allow you to get back on pace. So back to my race. I was certain that I could run it under 1 hour and 10 minutes, but after that I had no idea. 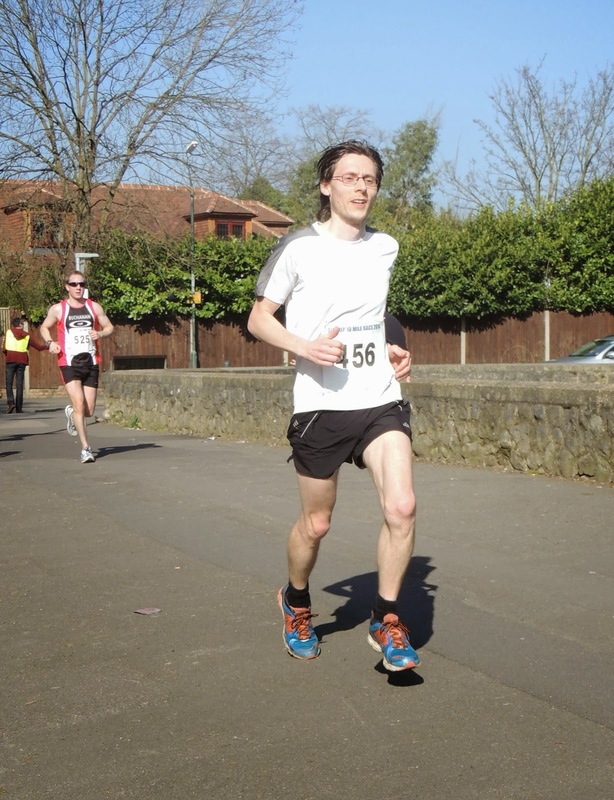 This was my first ever flat 10 mile race. New territory. I decided that I wanted to go out at a strong pace and was prepared to deal with whatever may or may not happen further down the road if I got it horribly wrong. At the 1 mile marker I checked the watch and it said 6.40. It was a little faster than I had in mind, but I felt good so continued. I hit the 3 mile marker in 20 minutes flat, then I hit the 6 mile marker in 40 minutes flat. This got me thinking, what were the chances that I could hit the 9 mile marker in exactly 60 minutes. Well, I only went and did it! 9 miles in 60 minutes flat. That just left the last mile to use up whatever was left in my legs and I crossed the line in 1 hour, 6 minutes and 33 seconds (or just 66:33). 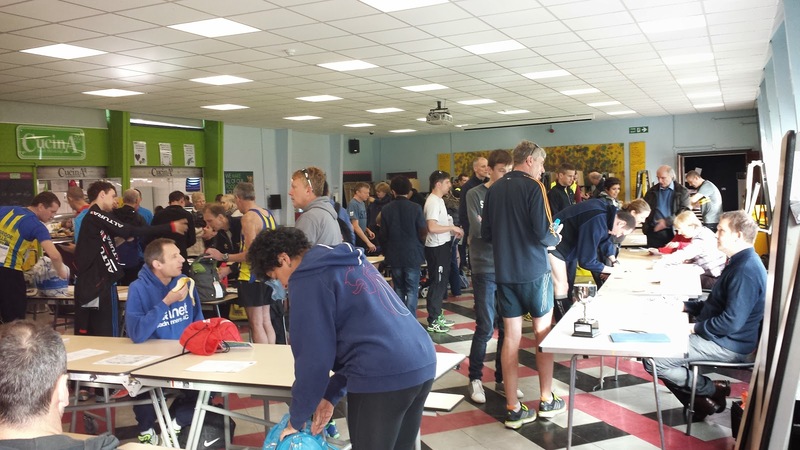 The official results were posted on their website the day after and can be viewed on the Kent AC news page or direct via this link. Once across the line, and it was a real finish line drawn on the ground with chalk (this was a detail that loved), there was a table laid out with medals. They had different coloured ribbons and each runner was free to take a colour of their own choosing. I chose the green one. After that there was a final water station, so I had a few cups of water and continued to walk to make sure my legs didn't seize up. In summary, going back to the criticism from previous years, my gps readings picked up the course as 16.1km, which is bang on 10 miles. However, I know of one runner whose Garmin reported it as short. The course isn't the most interesting you'll find and I probably wouldn't travel a long distance to race on this course, but the location was convenient for me and I knew what to expect so I'm not going to complain about it. In a way it doesn't feel like a race because you are running on the pavements and encountering members of the public and crossing roads, albeit with the assistance of the very friendly and encouraging marshals, just like you would if you were out for a training run. It really is what it is. A fast 10 mile race, and if you can ignore the few downsides it comes with, you might just enjoy it.